ABOUT MY LOOK: With this lovely collaboration we can easily brave the weather. 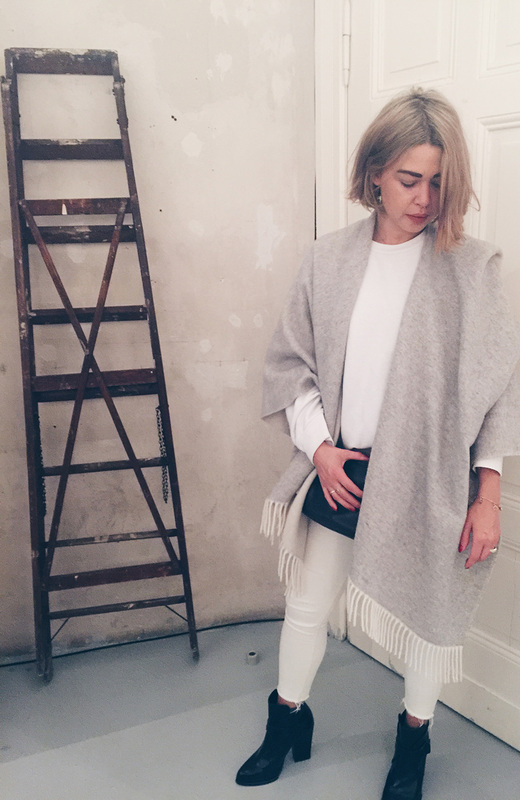 WHEN TO WEAR: Day or night time, casual or serious looks: Capes are the autumn’s answer on cosy style questions. But this is just one reason why the label Cape Mädchen collaborated this fall with the luxury store Anita Hass. 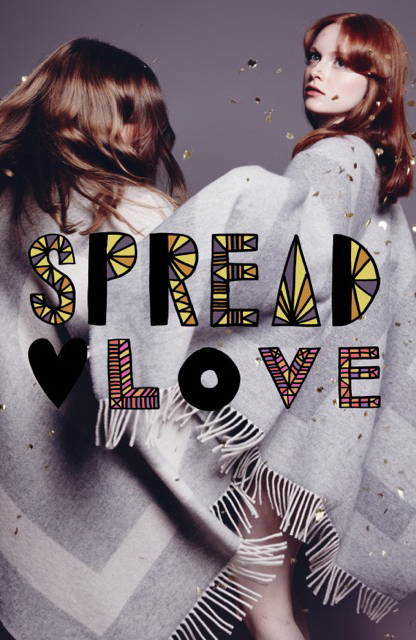 They want to „Spread Love“ in a special way. 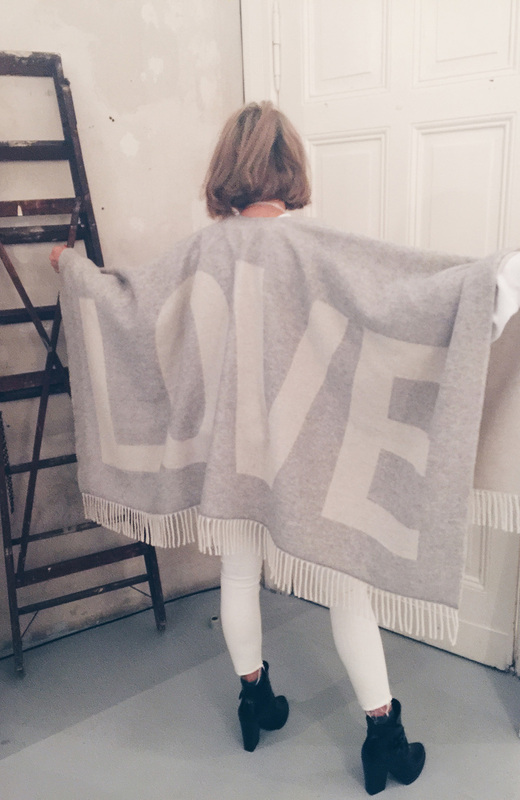 And the result is a limited edition LOVE-cape out of lamb's wool and cashmere. My styling tipp: I personally like to wear classic accessories like capes with minimalistic pieces like sweatshirts and jeans. So the look is likewise chic and cool. Not overdressed and at the same moment becomes something very special. My advice on this: don’t overdo the look while wearing a cape. This piece is attraction enough to be in everyones spotlight. • "LOVE cape" by CAPE MÄDCHEN X ANITA HASS for €285,–, only available at their online shops from November | limited on 200 pieces. • Men’s sweatshirt "California Fleece Raglan" by AMERICAN APPAREL for €40,–. • „MOTO Jamie Jeans“ by TOPSHOP for € 55,–. • Dark blue purse by A.P.C. • Boots by ZARA.